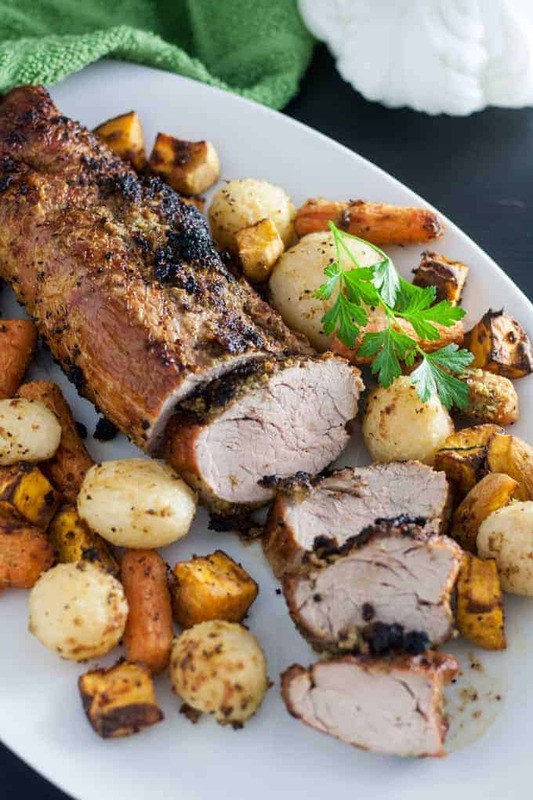 Home » Recipes » 30+ Air Fryer Recipes You MUST Try! New to the world of Air Fryers and looking for some great recipes? 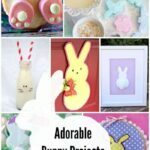 We have dinner recipes, chicken recipes, breakfast recipes, vegetable recipes, and even dessert recipes! 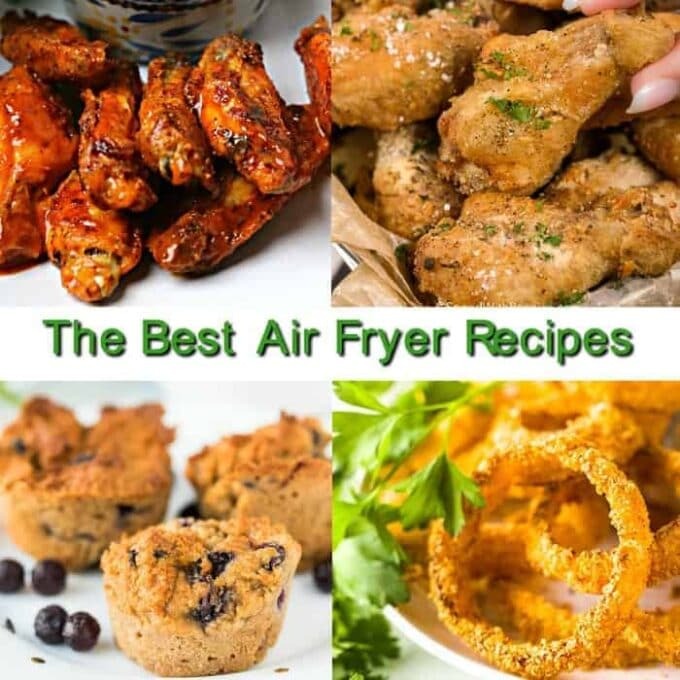 Everything you want to know about Air Fryer Recipes and more! I know we’ve talked about air fryers before, but I just cannot get over how fabulous they are! Air fryers mimic the results of deep-frying your food but use only hot air and a minimal amount of oil (if any). The growing interest in using air fryers comes from the benefits of easy clean-up and low-fat (therefore healthier) meals. 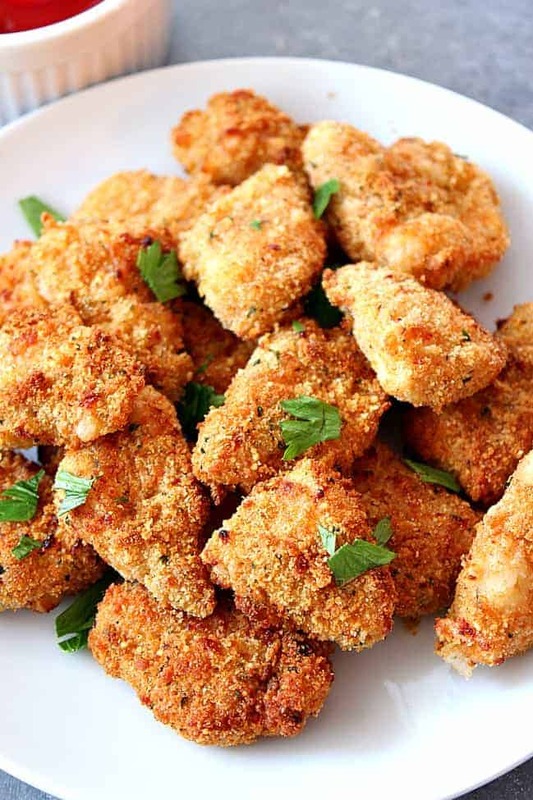 Air fryers differ from deep frying by reducing fat, calories, and guilt! Though they don’t produce identical results, people generally think air fried food tastes just as delicious! 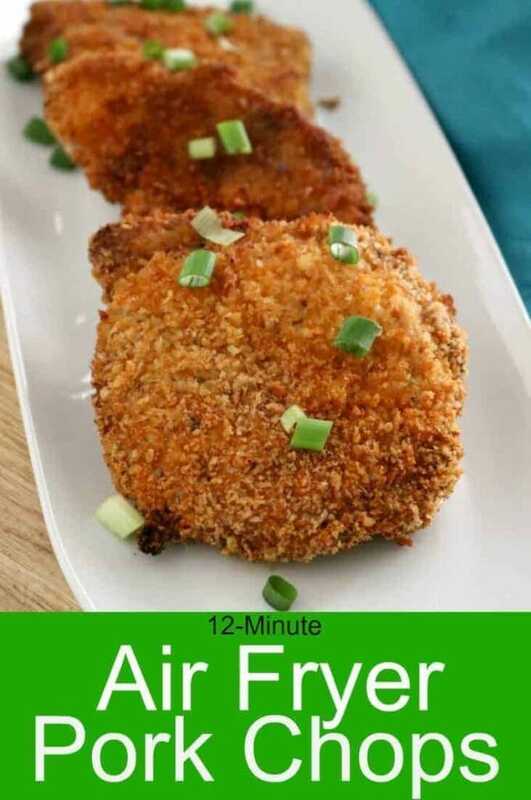 Don’t have an air fryer or new to the air fryer world, check out our How to Use an Airfryer post! It will tell you everything you need to know! Side note. Our other obsession is our Instant Pot. Have you tried it yet? Take a look at our Everything You Wanted to Know About the Instant Pot here! 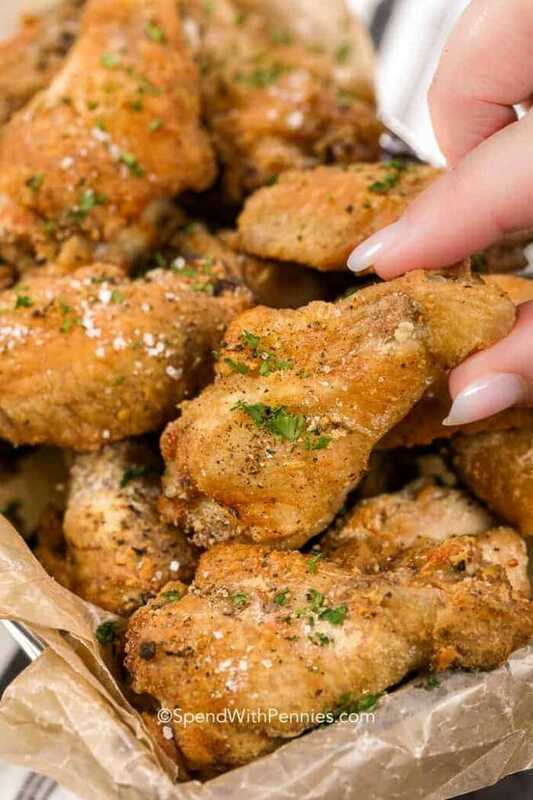 This delicious alternative to deep fried wings promises all the flavor and crunch of your favorite appetizer! You don’t have to give up that great fried chicken family recipe! Just use your air fryer for a lower-carb (and healthier) version. Delicious! Homemade, low-carb, AND keto friendly? You betcha! 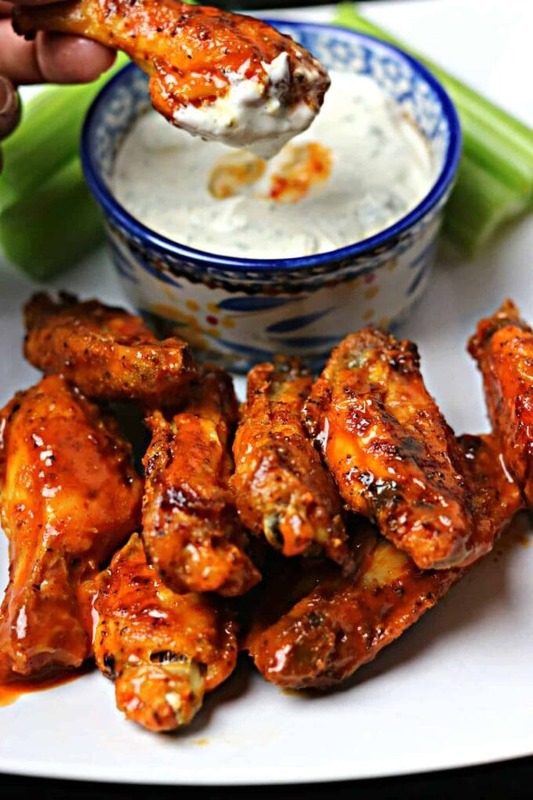 Try these air fried buffalo wings for the next big game. You’ll enjoy this mouth-watering, tender, juicy, and flavorful chicken. It’s super easy and ready in no time! Are you looking for a healthy option for your kid-friendly dinner? 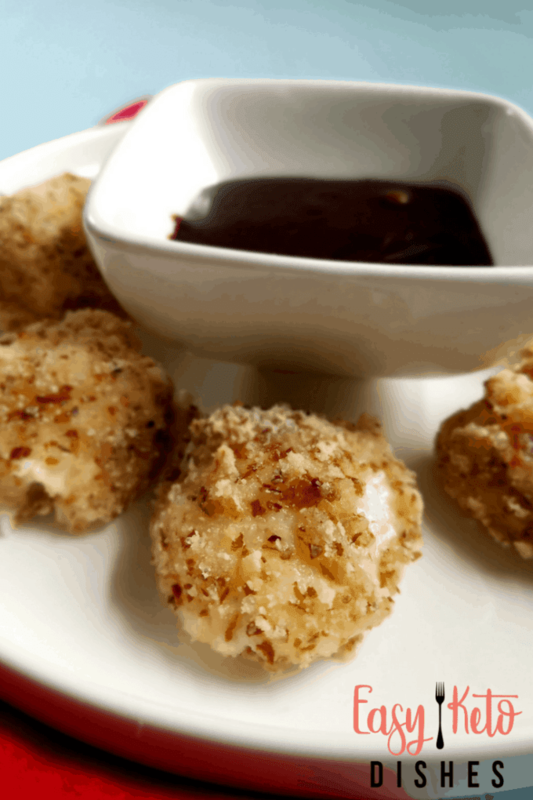 We think they’ll love this air fryer version of chicken nuggets! 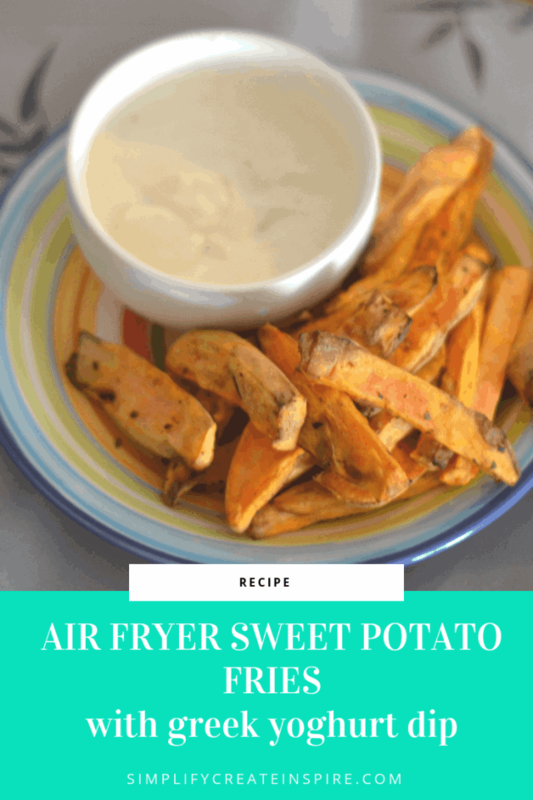 The air fryer is SO easy to use, and who doesn’t LOVE french fries? Try this 3-ingredient side dish and you’ll never go back to the traditional method. 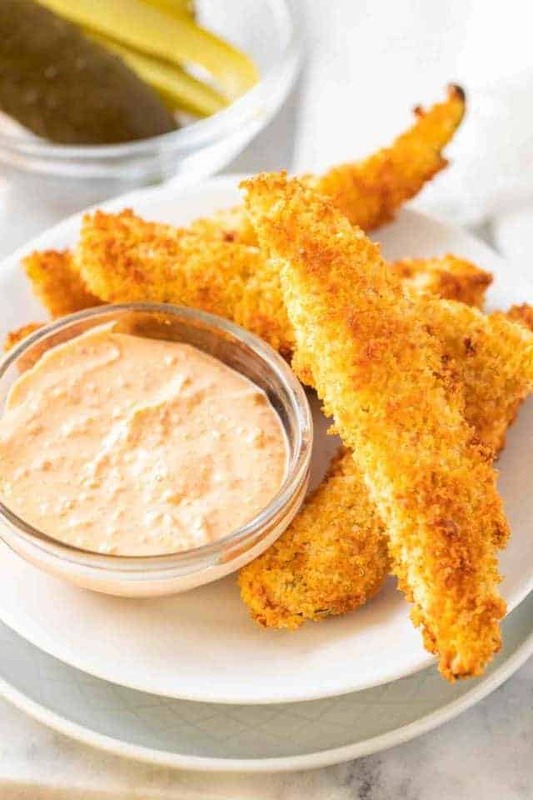 The crunchy panko breadcrumb coating on these air fryer pickles makes them taste even better than the deep fried original…and without the added calories! These sweet potato fries are ready in 10-12 minutes, and the sweet crunch is heavenly! This appetizer is great for entertaining! 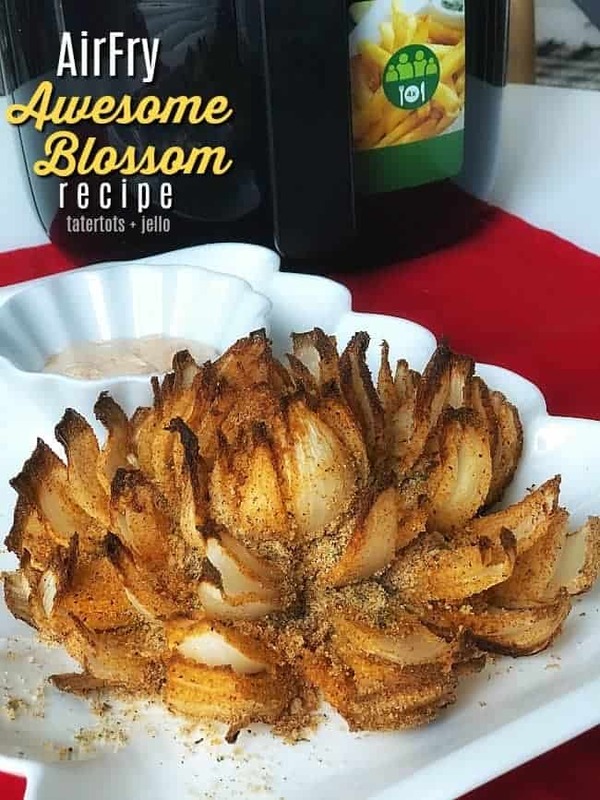 Can a blooming onion be more delicious? 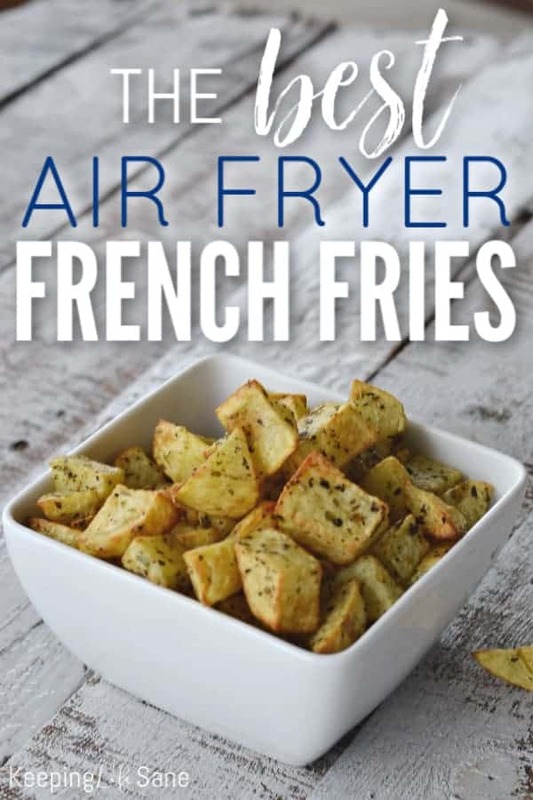 Well, try it in your air fryer – just as fabulous with 75% less fat and calories! 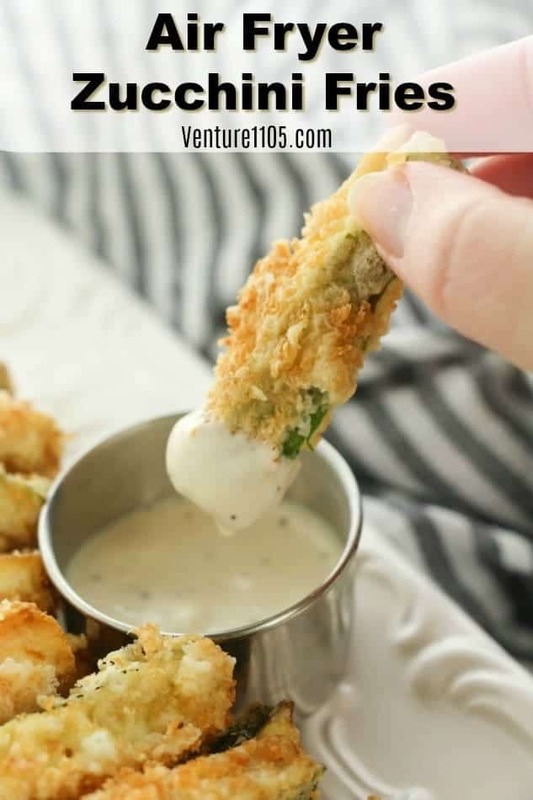 Even the kids will gobble up these good-for-you, super-crispy delicious zucchini fries! Now you can have your fries without the guilt! 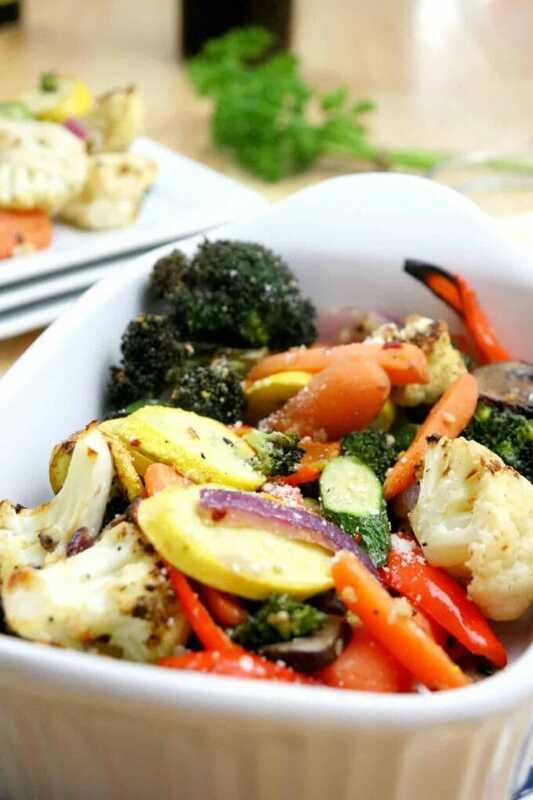 With 10 minutes, an air fryer, and the perfect seasoning mix, you may even get the kids to eat their vegetables! Yum! 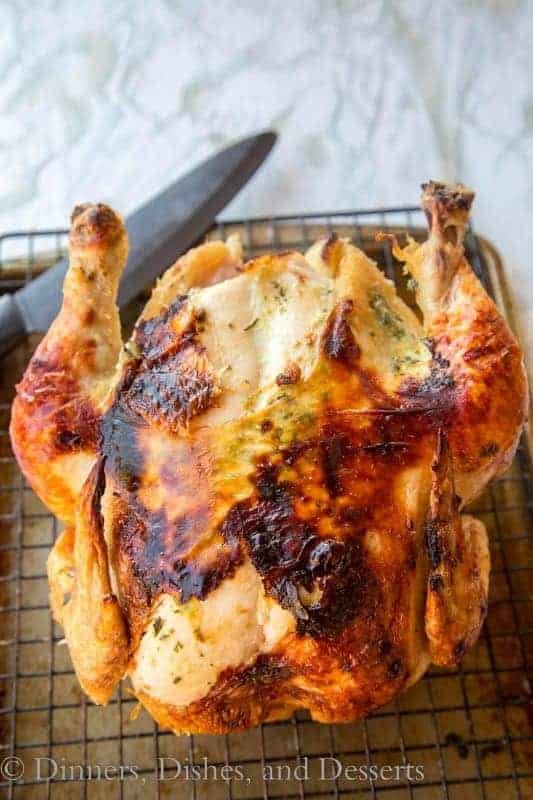 Crispy skin on the outside and perfect on the inside too? Yes! 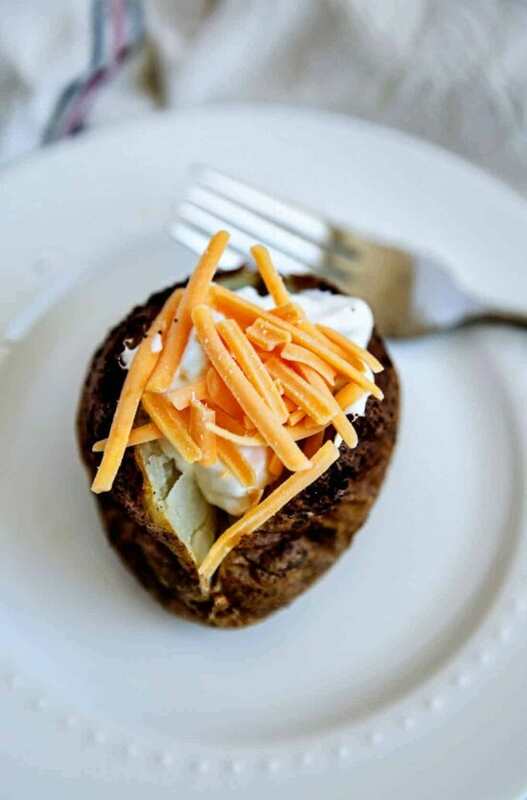 Try this air fryer method for unbelievable baked potatoes! 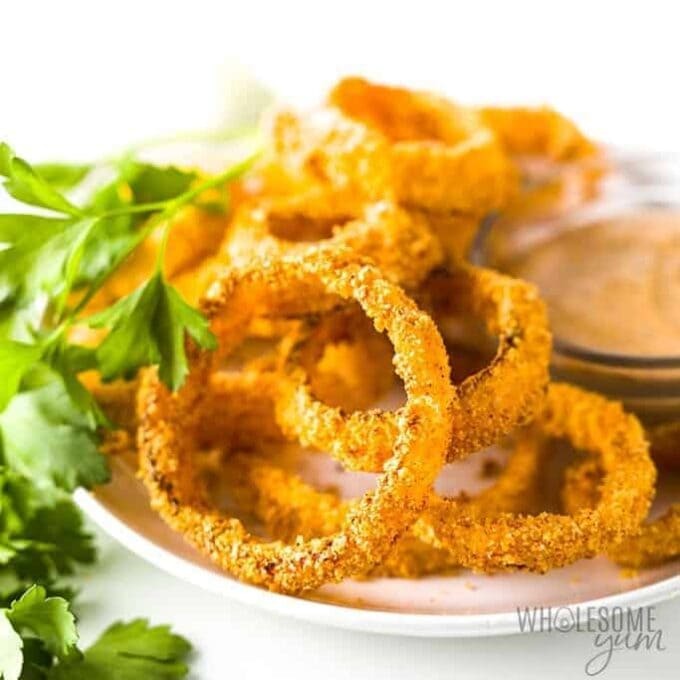 These onion rings are so delicious and super crispy – This recipe alone will convince you to get your own air fryer! In less than 20 minutes, your family will be sitting down to a 5-star meal that uses only 5 ingredients. This sweet and crispy caramelized textured salmon is top notch! Stop dreaming of the Caribbean and bite right into it! 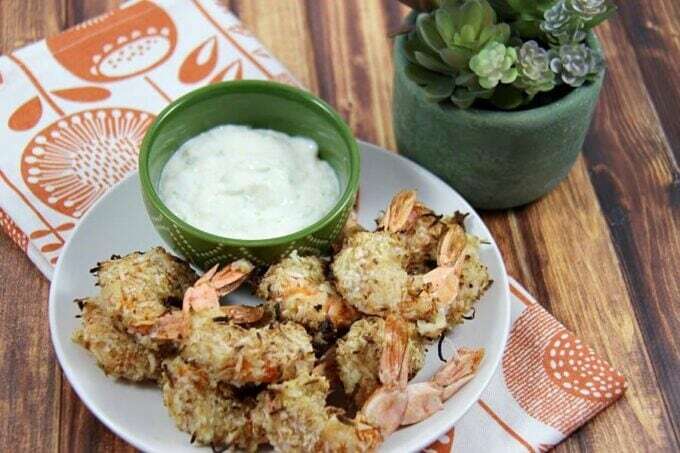 These crunchy airfried shrimp pair perfectly with a refreshing pina colada dip! 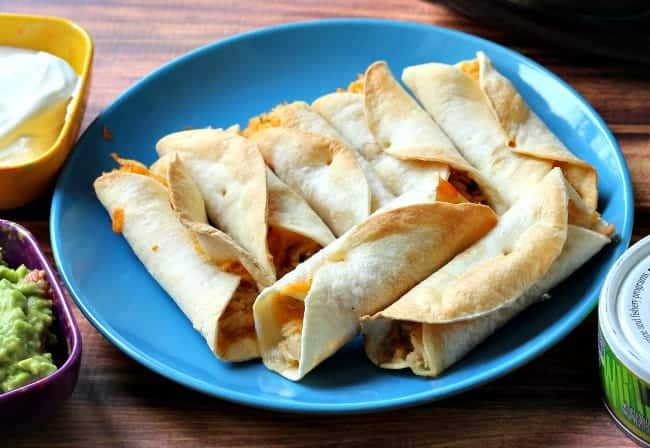 Dip these amazing air fried tuna flautas in a little salsa, guacamole, or sour cream and create your own fiesta or Cinco de Mayo celebration! 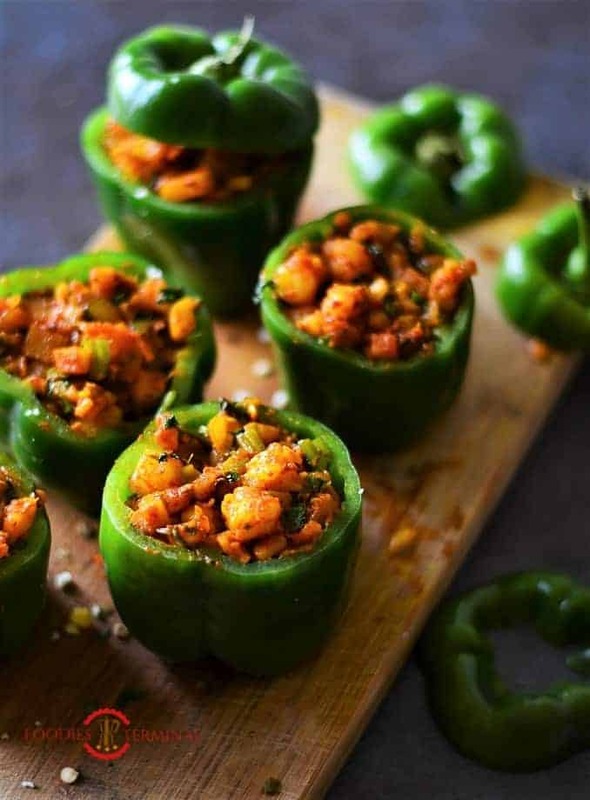 If you’re looking for an easy one-dish meal for weeknights, this recipe is touted as the easiest, tastiest & quickest stuffed peppers recipe you will ever make! 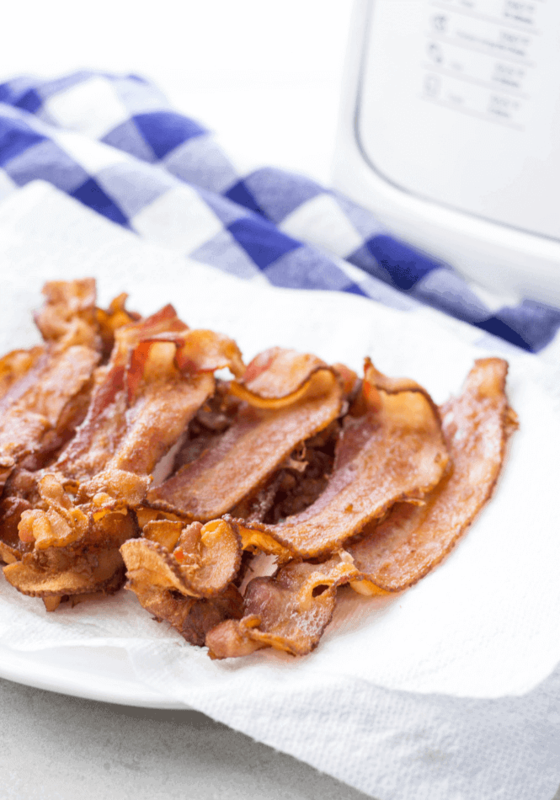 This air fryer bacon is perfect for that BLT, is packed with flavor, and has no bacon splatter to clean up! You’ll never miss the traditional fat and calories of these 12 minute pork chops! Good as Mom’s used to be without the guilt! If nice and brown on the outside and tender and juicy on the inside sounds good to you…look no further! 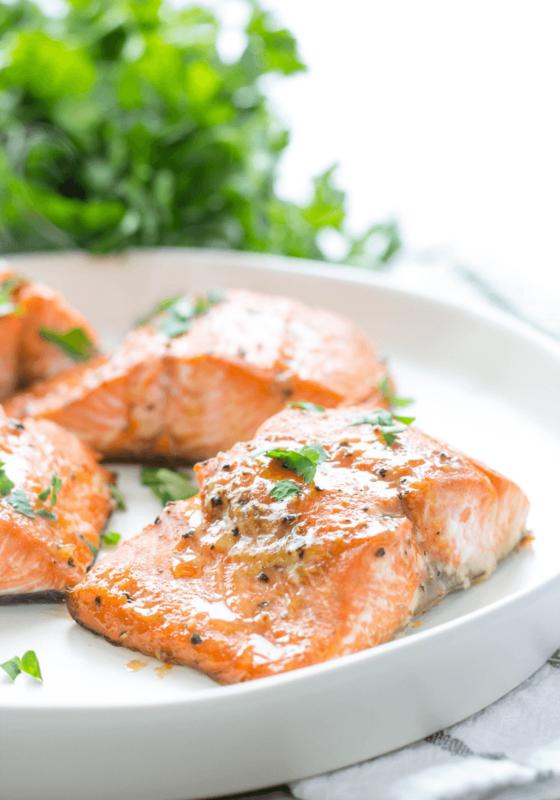 This healthier version of the original will steal the show at dinner! Okay, dessert AND the simplicity of using an air fryer? Sound too good to be true? 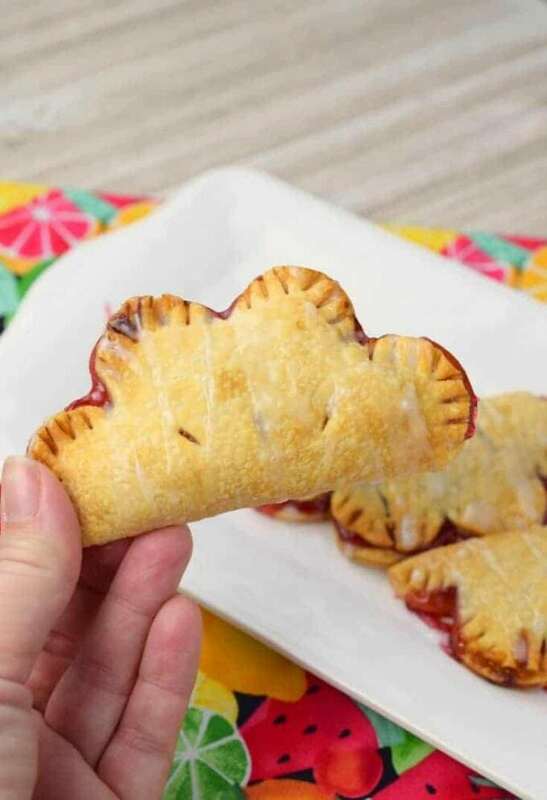 You’ll flip over these delectable cherry pies! With only 2 net carbs each, these lightly air fried golden brown cheesecake bites are perfect and stay true to your keto diet! 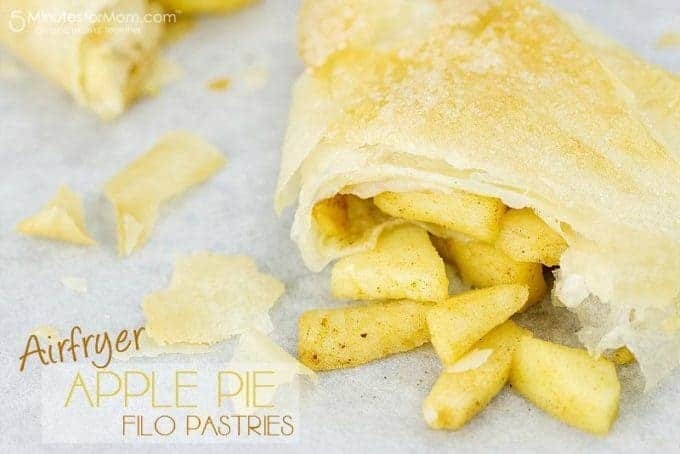 Get ready to enter into apple pie heaven! They are triangles of pastry perfection that could become an obsession! 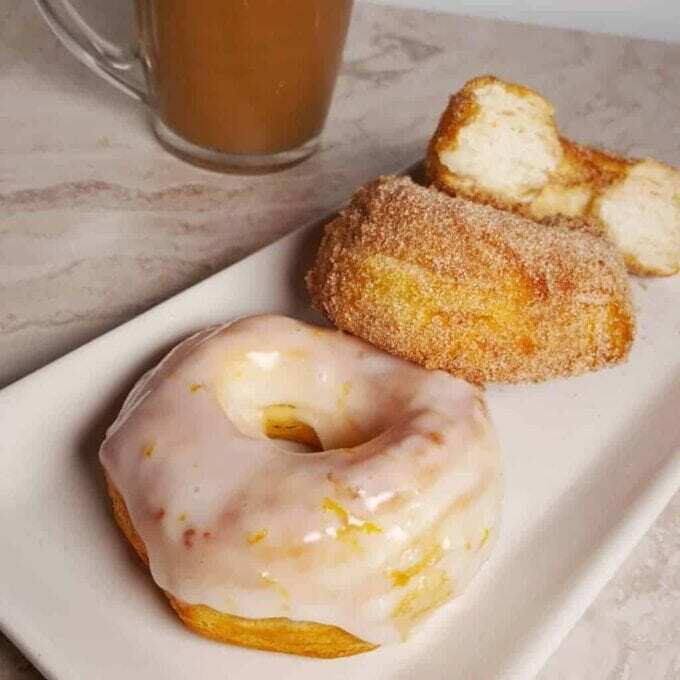 You’ll never have to leave home again to cure that doughnut craving! You’ll love this improved version because without the deep frying, there’s no greasiness! Just YUM! 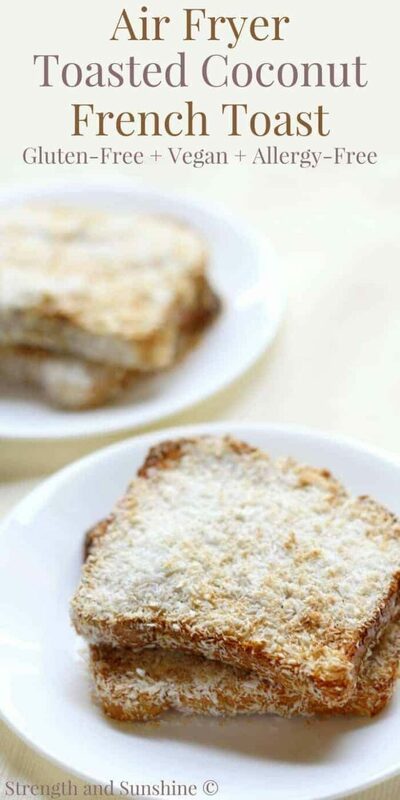 Say goodbye to “soggy” french toast! This is crisp perfection and a top-8 allergy-free recipe! 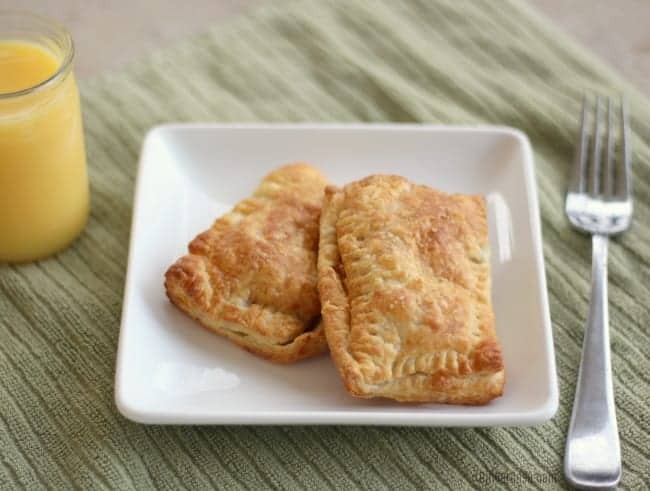 This air fryer version of crispy pockets can be stuffed with just about anything…bacon, sausage, eggs, cheese, bell peppers, or potatoes. You can even go with cream cheese and strawberry jam! Imagine the delicious possibilities! These gluten-free treats are great for breakfast or the perfect healthy snack! 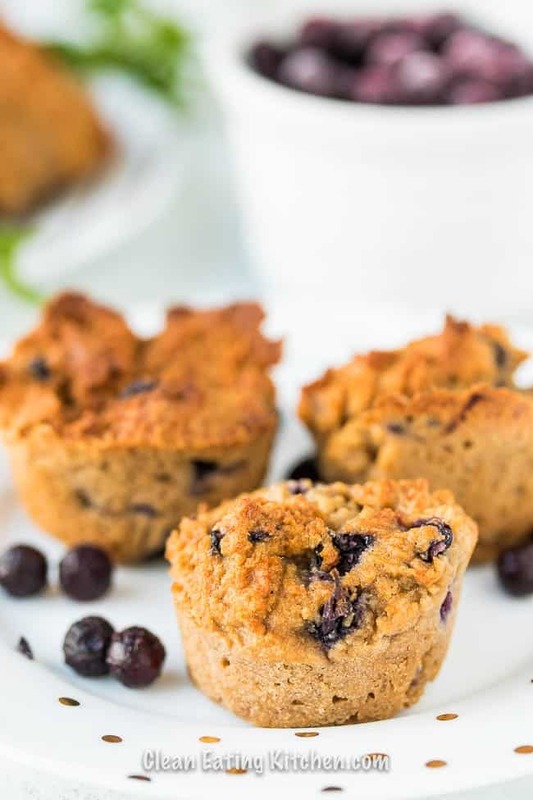 Enjoy your hot, fluffy blueberry muffins in less than 20 minutes! Which recipe are you going to air fry up tonight? 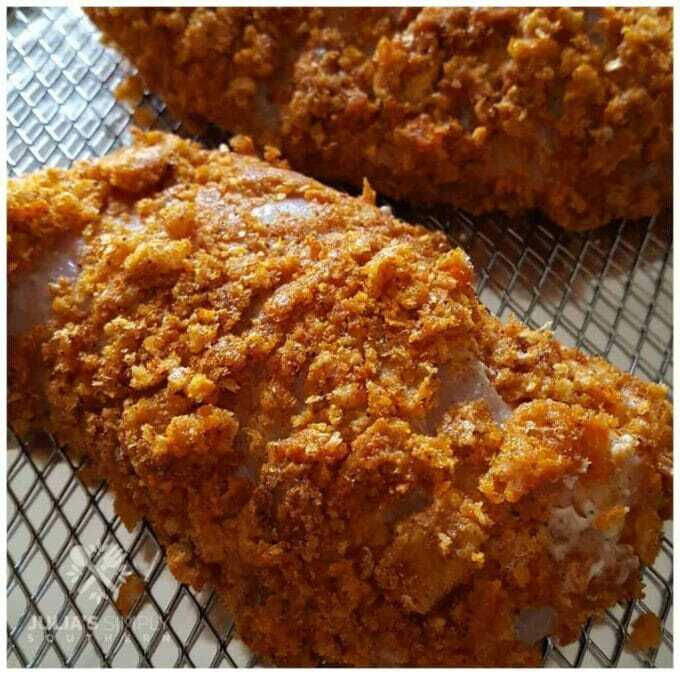 What a beautiful post of recipes that I can make in my air fryer! Please let me know your favorites when you have a chance to try them! 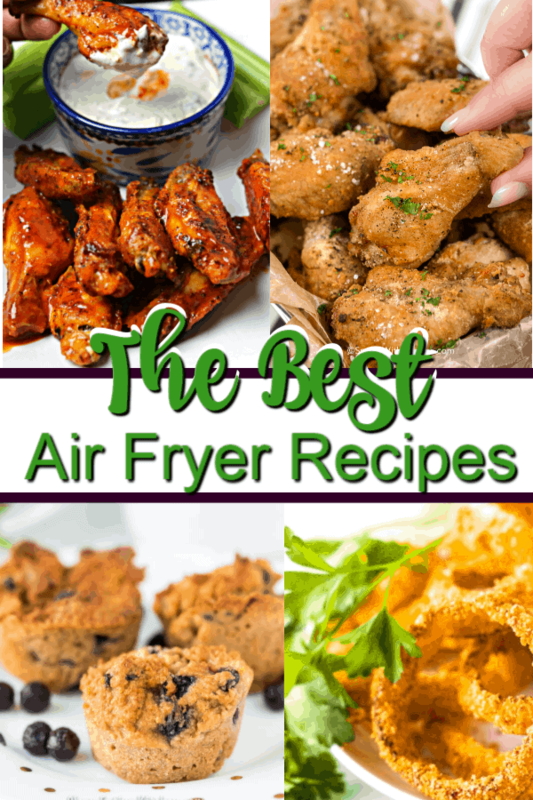 What a fabulous list – love the variety of delicious air fryer recipes. Thank you for including my coconut shrimp. 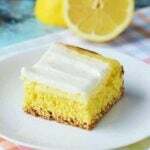 It is an amazing recipe! My family LOVED it!